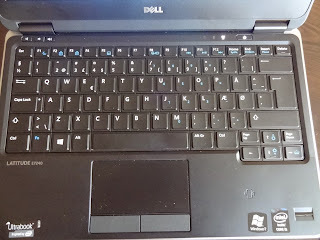 Samsung ATIV Book 8 NP880Z5E-X01UB review - today at our consumer blog we are going to take a look at one of the latest 15.6-inch Windows 8 laptops from Samsung. 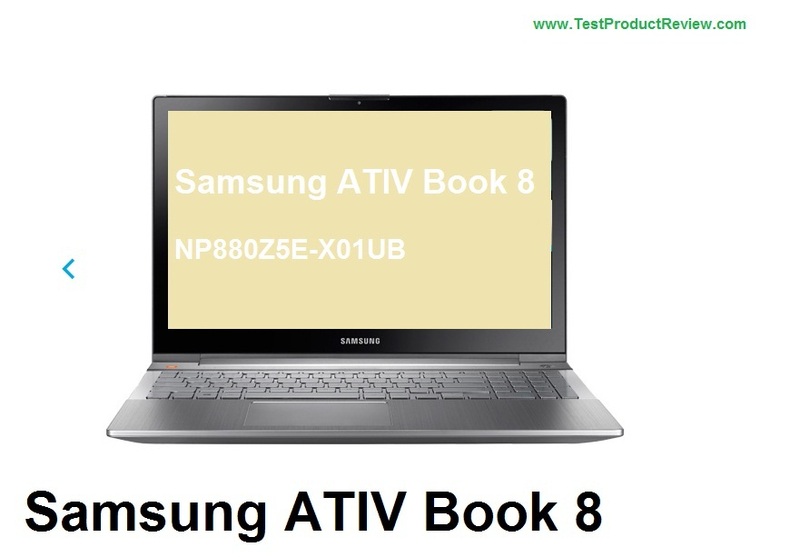 The ATIV Book 8 NP880Z5E-X01UB impresses with great build quality, fast processing and improved functionality with the Windows 8 OS thanks to the 15.6-inch touch screen display. With the release of the advanced Windows 8 operating system many manufacturers realized that mobile computing is going to go through some significant changes. As we all know smartphones and tablets are expanding their market share every month and it won't be late before they will take over the space which was taken by compact portable computers (laptops and notebooks). That is the main reason why manufacturers like Samsung reacted and started developing new wave of more advanced laptops with extended features and functionality. And Windows 8 allows all this to happen quite smoothly for the final customer, thanks to its dual functionality (great for both mobile and desktop devices, though I think it still has a lot to catch up considering the better Android performance on mobile phones). 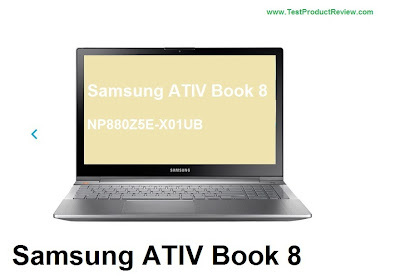 Samsung ATIV Book 8 NP880Z5E-X01UB is offered mostly on the American market where its price of around $1200 is very attractive for those who are in the search of new high-performing laptop. BestBuy currently offers great deal for this laptop with 1TB (5400 rpm) Hard Drive and 8GB RAM. Samsung ATIV Book 8 NP880Z5E-X01UB is powered by very fast 2.4GHz Intel Core i7-3635QM processor with 6MB L3 cache. That is the third generation processor of this model line and it is one of the better Intel Core i processors. It is very cool, quiet and stays low on power consumption. The 15.6-inch Full HD touchscreen of the ATIV Book 8 NP880Z5E-X01UB is also quite impressive. It has maximum resolution of 1920 x 1080 and 300 cd/m² SuperBright technology. One thing that I don't like about it is the fact that it has a glossy finish. I know that is something quite common for modern laptops, especially those with touchscreens, but I myself prefer matte displays. The video performance is provided by the very capable AMD Radeon HD 8770M graphics with 1GB of video memory. Of course the Samsung ATIV Book 8 NP880Z5E-X01UB is also fully packed with connection options. You can rely on fast Advanced-N 6235 wireless LAN (802.11a/b/g/n) for fast connection to the Internet and other WiFi enabled devices, 2x USB 2.0 and 2x USB 3.0 ports, Bluetooth 4.0, Ethernet LAN (RJ-45), VGA, HDMI, card reader and 3.5 mm headphone jack. Samsung ATIV Book 8 NP880Z5E-X01UB is having high scores in the multimedia options section. Here we have high-quality JBL stereo speakers and webcam with mic and 720p video resolution. Samsung ATIV Book 8 NP880Z5E-X01UB has a very long lasting 8-cell battery which holds charge for more than 5-6 hours of work with this laptop. Dimensions - Samsung ATIV Book 8 NP880Z5E-X01UB is quite compact 15.6-inch laptop. It measures 14.80 x 9.84 x 0.89 inches in size and weighs around 2.5 kg (5.6 lb.). So, this was our short review of the Samsung ATIV Book 8 NP880Z5E-X01UB touchscreen laptop. The verdict is that this is one very capable and yet affordable touchscreen Windows 8 laptop which we strongly recommend. Please check the rest of our laptop reviews for more interesting information about many other laptops and notebooks.